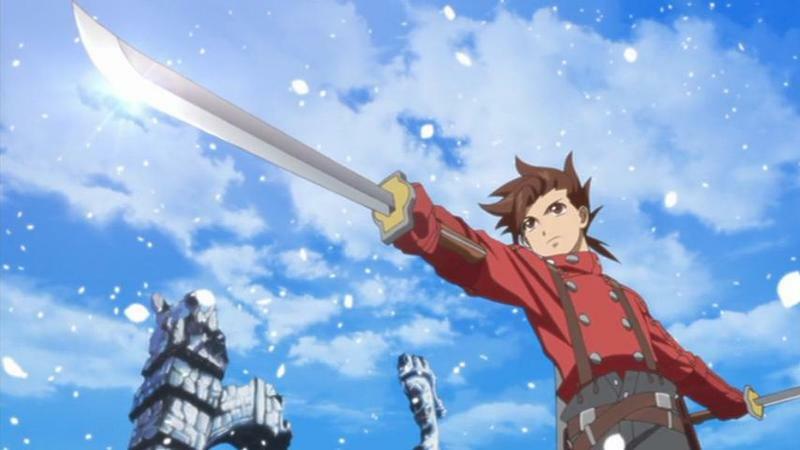 Tales of Symphonia became the most popular entry in the long running series when released, and it somehow did so with a protagonist named Llyod Irving. Cloud Strife, Squall Leonhart, Sabin Rene Figaro…Llyod Irving. Sounds more like a guy on the localization team than a noble warrior. Yet despite his questionable nomenclature, Llyod is a picturesque JRPG hero. A young and humble boy from the countryside, Llyod jumps at the opportunity to seek what is just and right in the world. He is a master-swordsman yet has never fought any battles. He is naive, dimwitted, and blindly idealistic, and yet always has the right solution. His optimism keeps his head high in the clouds, but he has seen nothing but suffering since his village burnt down. In other words, he has very few faults, and the only thing not cliche about this guy is that he isn't an amnesiac. Despite that, he is a likeable character through and through much like the rest of his silly band of misfits. Namco Bandai has released a trailer for the upcoming Tales of Symphonia Chronicles HD collection. Whether or not you can understand Llyod and his dialogue through the Japanese doesn't especially matter. The purpose of re-releasing Tales of Syphonia this late in the console generation is not to tell a deep and captivating story, but rather to recapture that unique feeling and atmosphere only an old fashioned JRPG can create. It's a little sad when a decade year old game feels like a breath of fresh air, but there you have it. Plus, the combat is exciting to finally see in HD, finding a perfect balance between being overly flashy and still allowing each hit to have meaning. Tales of Symphonia Chronicles will have both the first game and its sequel, Dawn of the New World, released on the PlayStation 3 for the first time in HD in 2014.